Police urge drivers to take care when driving in icy conditions. 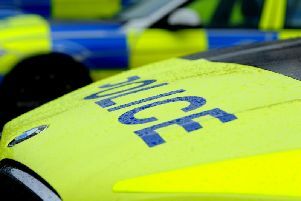 Lancashire police are warning drivers to take extra care when driving in icy conditions after a number of accidents were recorded on the roads across Lancashire yesterday (29 December). At around 8am a driver on Longridge Road in Ribbleton had to have his van recovered after he skidded on the ice and hit a fence post. Police were also called to a collision on Old Bridge Lane in Poulton le Fylde near the Shard Inn after a collision due to icy road conditions. Later, at around 8.30, another driver on Beechwood Drive in Thornton-Cleveleys skidded and hit a parked car. Nobody was injured in any of the incidents, say police. The police would like to remind drivers of the following tips and advice for driving in icy conditions. • Decrease your speed and leave yourself plenty of room to stop. • If your tyres are making virtually no noise this could be a sign that you are driving on ice. • Brake gently to avoid skidding. If your wheels start to lock up, ease off the brake. • Turn on your lights to increase your visibility to other motorists and keep your lights and windscreen clean. • Be especially careful on bridges and infrequently travelled roads, which will freeze first. • Even at temperatures above freezing, if the conditions are wet, you might encounter ice in shady areas or on exposed roadways like bridges. • Do not assume your vehicle can handle all conditions. Even four-wheel and front-wheel drive vehicles can encounter trouble on winter roads. • If travelling far, plan accordingly before leaving the house and ensure your mobile phone is suitably charged. Properly inflated spare tyre, wheel wrench, functional jack, shovel, toolkit, bag of salt, tool kit, ice scraper, A torch, warm clothes, wellies, rope, first-aid kit, jump leads and a small amount of food and water.